Girly girl at heart with your tried, tested and true colours and styles? 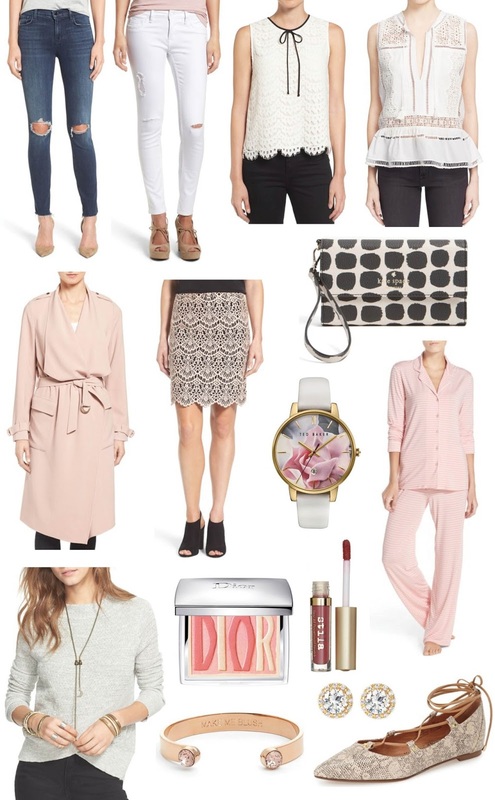 Me too ;) Now that the Nordstrom Anniversary Sale has gone public, I'm sharing the ultimate girly guide to all things pink, spotted and blush tones for the fall. This blush Eliza J trench for example has got my googly eyed for fall wanting to pair it with a striped tee and distressed jeans or with a bow tie blouse and black ponte pants for work. If you're anything like me and have a serious hoarding problem when it comes to PJ's, I'm also crushing on this adorable set! Find other favourites linked below from the sale. Happy shopping!